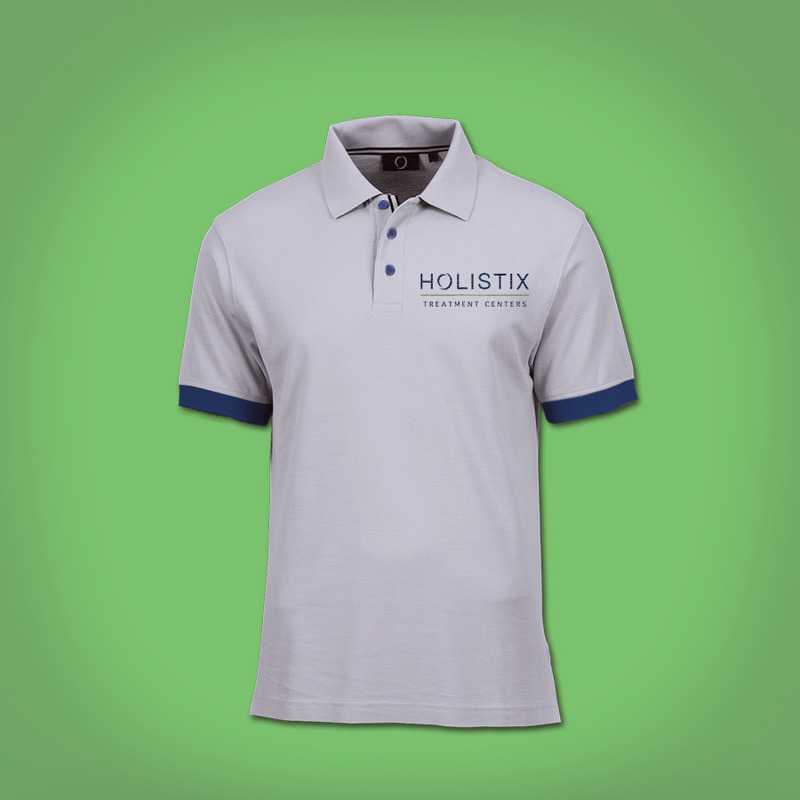 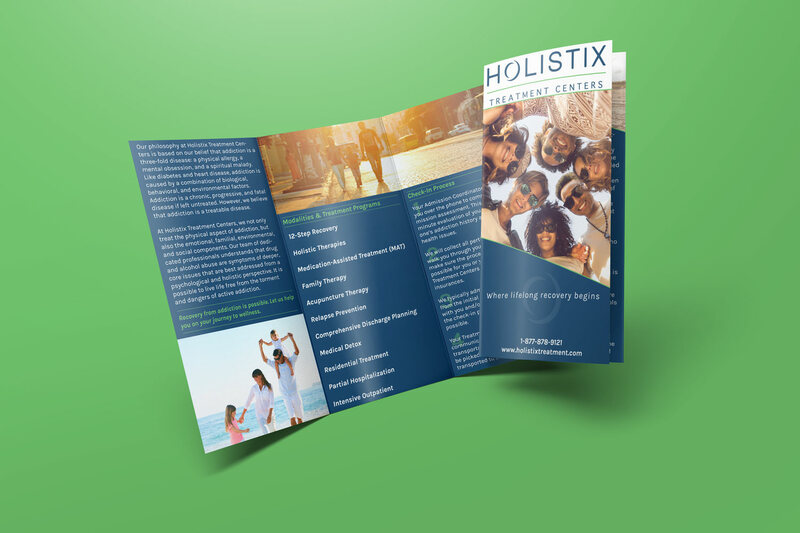 Holistix Treatment Centers provides high-quality, comprehensive treatment for individuals struggling with the disease of addiction. 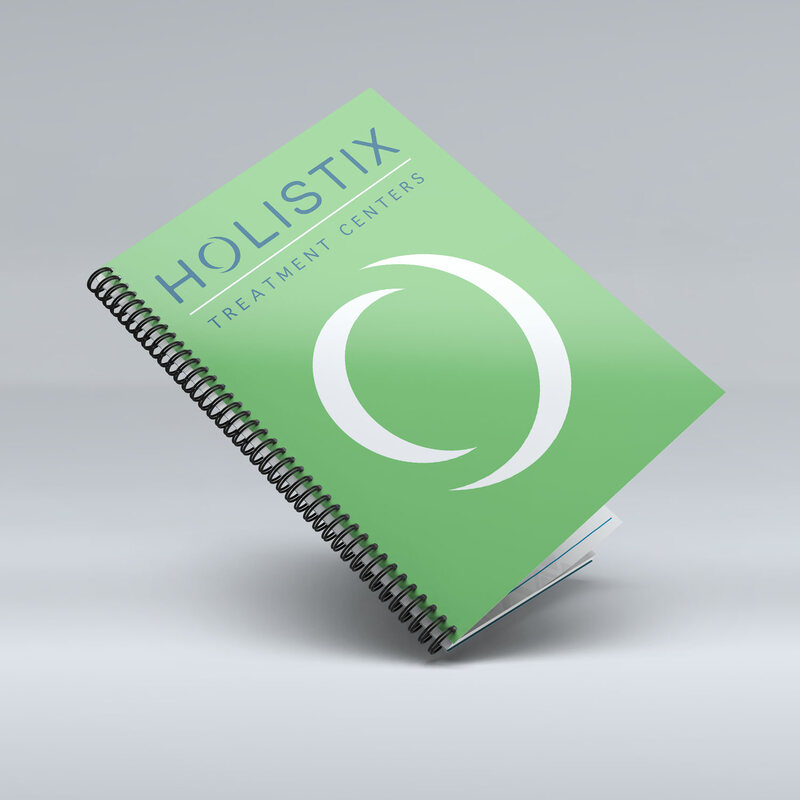 Their holistic approach to addiction treatment allows clients to focus on health and recovery in a supportive environment. 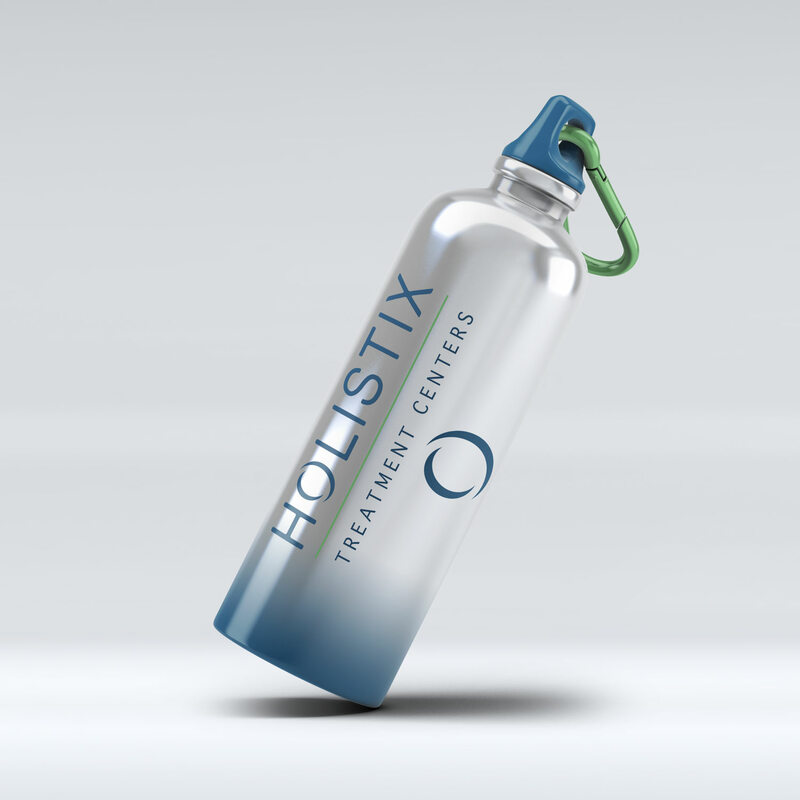 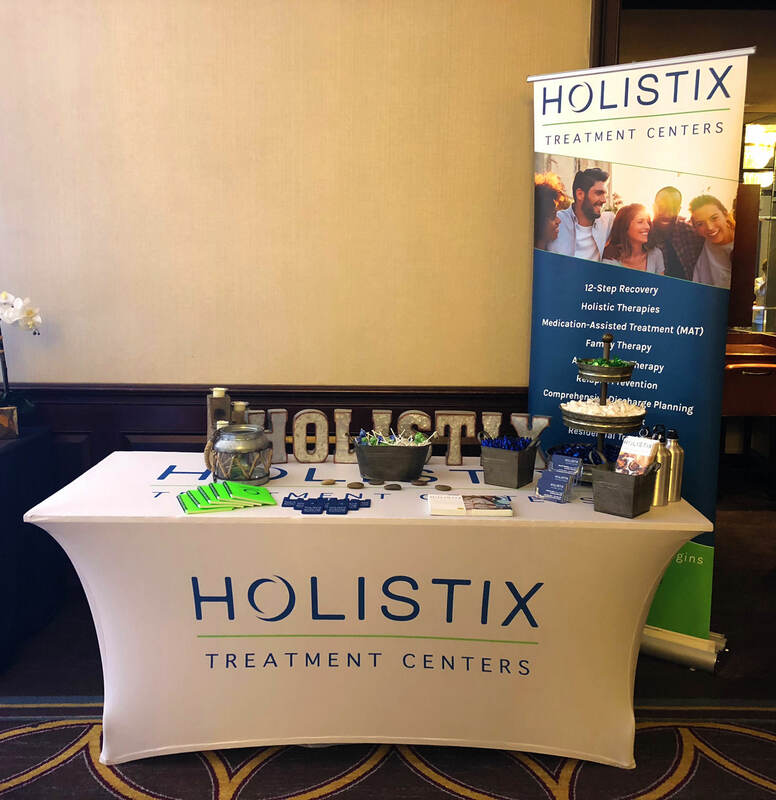 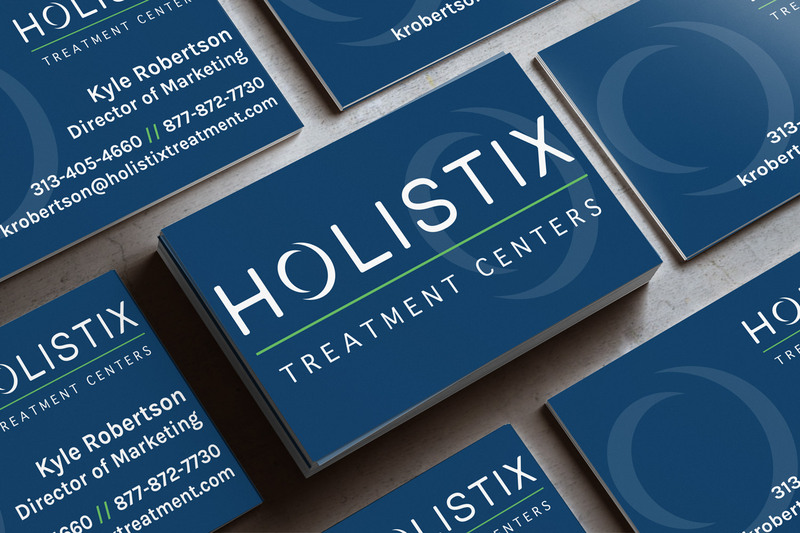 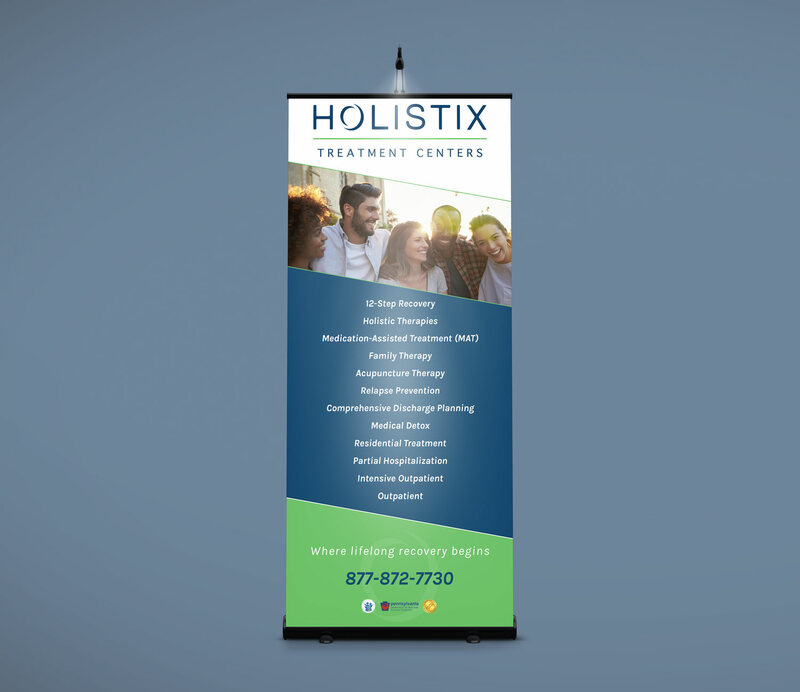 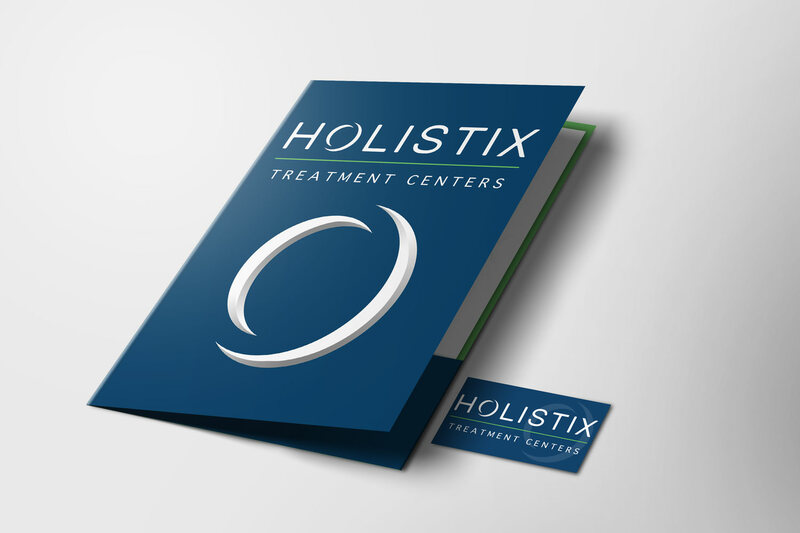 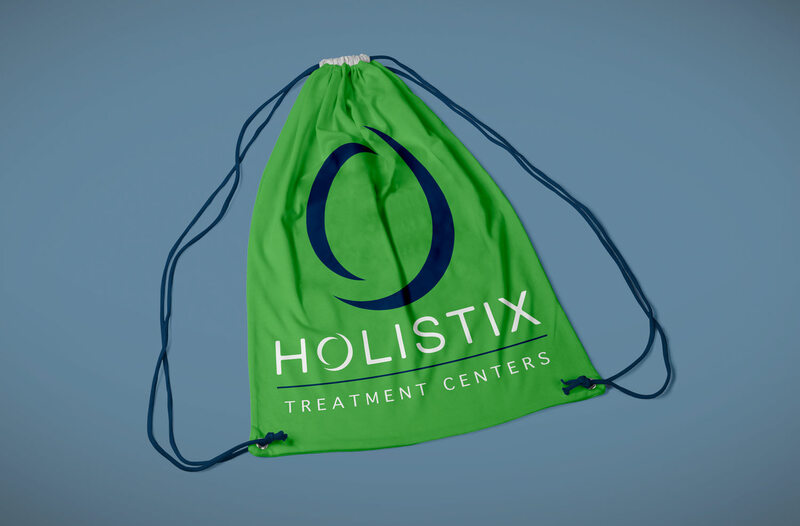 With facilities in Pennsylvania and Florida, Holistix Treatment Centers helps their clients heal and recover from their substance abuse and co-occurring mental health issues. 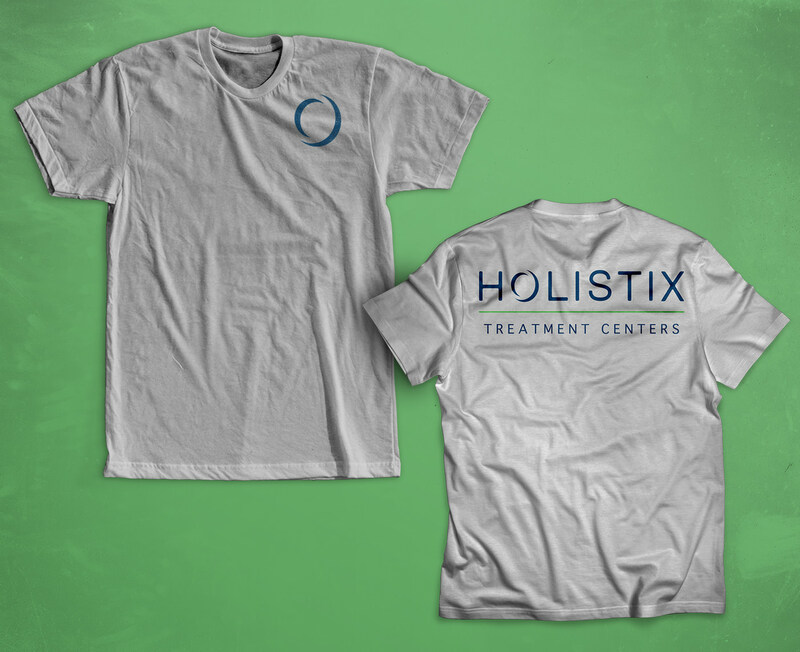 To build a brand that appeals to and engages with the target demographic and utilizes design elements that emphasize a holistic approach to addiction treatment. 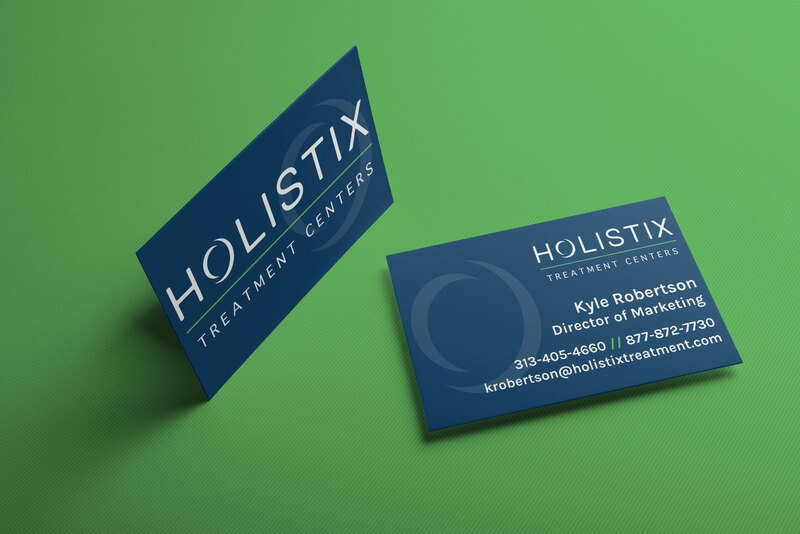 I have been working hand in hand with Lucid Prints to help take my company’s brand and exposure to the next level. 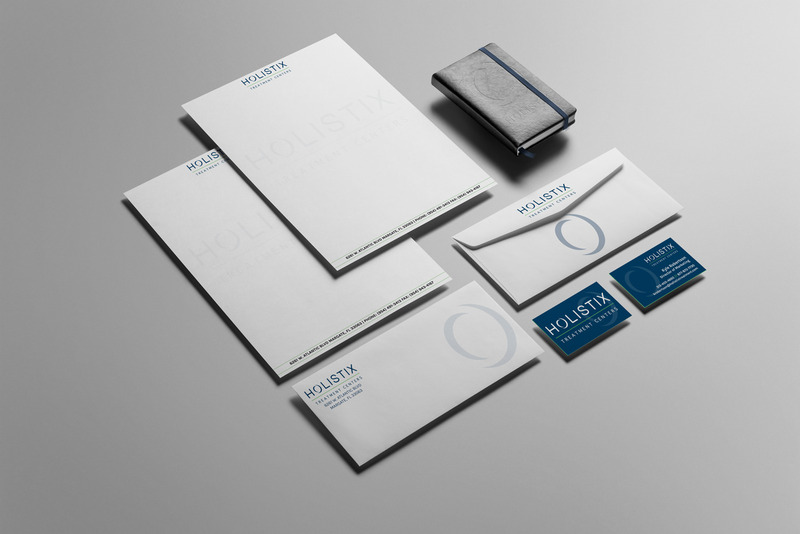 Their assistance with print and promo materials was top notch. 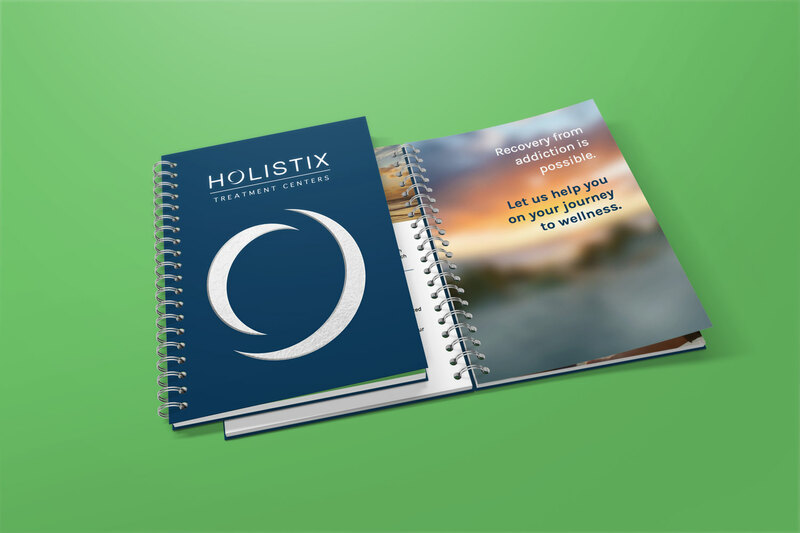 The amount of affirmations from my prospective audience has blown me away. 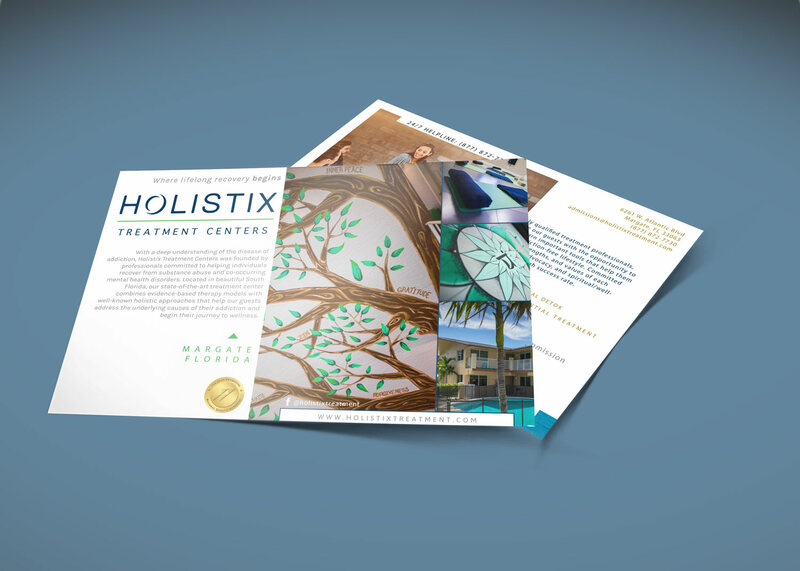 The creative eye of Lucid, mixed with their communication and ability to meet deadlines is why I will continue to go to Lucid Prints for all of my marketing needs. 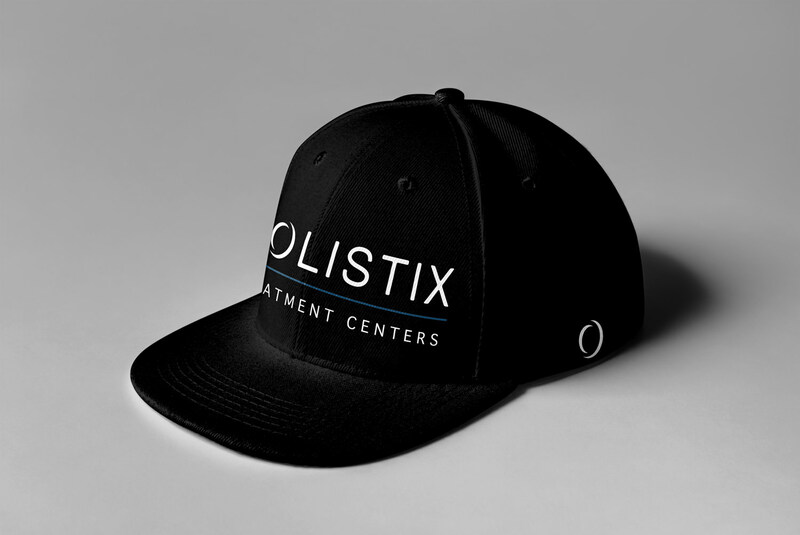 Thank you guys for all that you do.